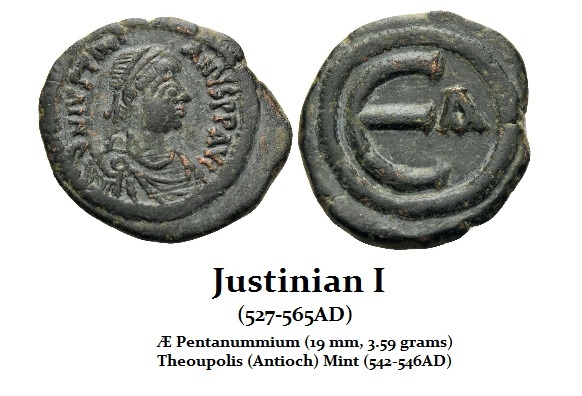 Justinian I (c. 482 – November 14, 565AD), came to the throne following his uncle, Justin I. He ruled for nearly four decades and during his reign, he sought to restore the Roman Empire by retaking Western Europe and Northern Africa. 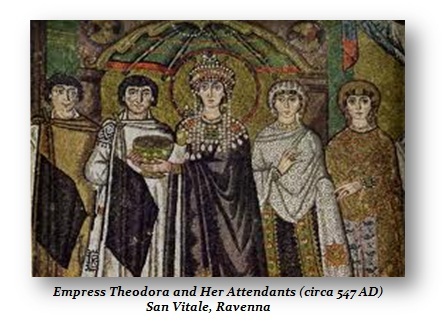 Justinian was partially able to recover of the territories of the Western Roman Empire in Italy. His general, Belisarius, was also very famous during his reign for his conquest of the Vandal Kingdom in North Africa. Belisarius, and other generals, also conquered the Ostrogothic kingdom, restoring Dalmatia, Sicily, Italy, and Rome to the empire after more than half a century of rule by the Ostrogoths. Under Justinian I, the south of the Iberian peninsula was also reclaimed and to the East, Justinian also subdued the region of the east coast of the Black Sea which had never been conquered by Rome. Yet Justinian I is also known for rewriting the Roman law known as the Corpus Juris Civilis, which is still the basis of civil law extending into modern times. Additionally, Justinian also constructed much inside Constantinople including Hagia Sophia. Still, Justinian I was rather ruthless when it came to taxation. There was a tax revolt that boiled over on January 13, 532AD, known as the Nika Revolt, which emerged when an angry populace arrived at the Hippodrome in Constantinople to watch the chariot races. The Hippodrome was next to the palace complex where Justinian could watch from the safety of the palace. The spectators were hurling insults at Justinian for his taxes. Initially, it was a contest between two opposing teams known as the “Blue” and “Green.” After race 22, the chants began to change to Nίκα (“Nika”, meaning “Win!” or “Conquer!”). The crowds became violent, and for the next five days, the palace was under siege. 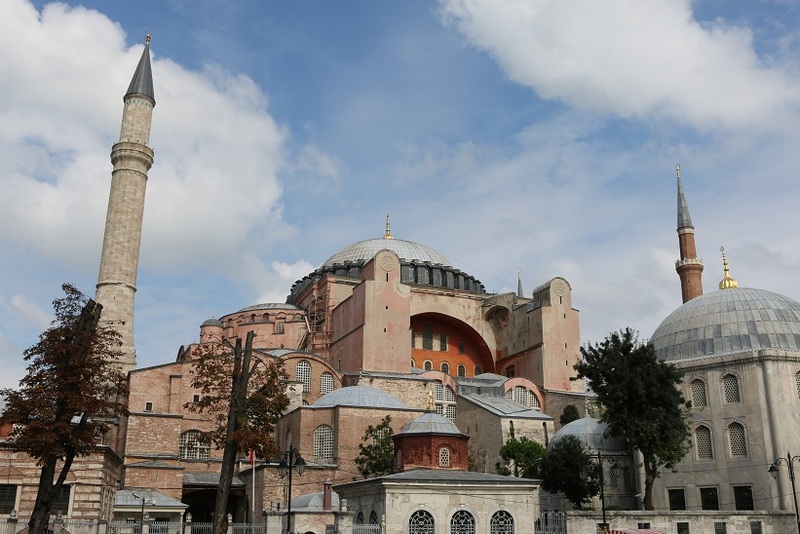 They set fires that destroyed most of the city including the church, the Hagia Sophia, which Justinian would impose harsh taxes to later rebuild. Constantine was the center of churches, reflecting the changes within the Roman Empire. The greatest religious structure was Saint Sophia’s Church. Finished around 360AD, it represented the ideal of Great Wisdom. Hagia Sophia was one of several great churches. Following the destruction of Constantine’s church, a second was built by his son Constantius and the emperor Theodosius the Great. This second church was burned down during the Nika Revolt of 532AD. Hagia Sophia was rebuilt in its present form between 532 and 537 under the personal supervision of Emperor Justinian I. It is one of the greatest surviving examples of Byzantine architecture, rich with mosaics and marble pillars and coverings. Indeed, following its completion, Justinian is said to have exclaimed, Νενίκηκά σε Σολομών (“Solomon, I have outdone thee!”). 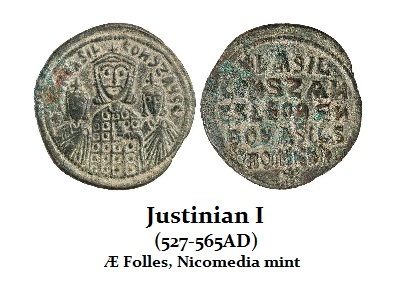 Nonetheless, Justinian’s reign was truly a tumultuous period where the climate turned violent with a volcanic winter, which enabled his many conquests as less organized societies were unable to cope with the effects. There was a mysterious fog that plunged over Europe, the Middle East, and parts of Asia casting them into darkness. This catastrophic event lasted for 18 months. The Byzantine historian Procopius wrote: “For the sun gave forth its light without brightness, like the moon, during the whole year.” Temperatures in the summer plummeted creating the coldest decade in the past 2300 years. Snow fell as far east as China during the summer causing starvation as crops failed. The Irish chronicles recorded that “a failure of bread from the years 536–539” took place. The mysterious clouds which engulfed the world contributed to the era being called the Dark Ages in Western Europe. From a Swiss glacier, ice core samples were obtained at the Climate Change Institute of The University of Maine. They determined that a cataclysmic volcanic eruption in Iceland spewed ash across the Northern Hemisphere during early in 536AD. Two other massive eruptions followed in subsequent years during 540AD and again during 547AD. What appears to have been three successive major volcanic eruptions, the Dark Ages entered a volcanic winter which plunged Europe into famine which lasted for nearly 100 years into 640AD. This was also solar minimum which seems to correlate to an increase in volcanic activity. With famine comes lower nutrition leaving the people more suspectable to disease. It appears that following the 546AD eruption, we then see the Justinian Plague (541-542AD) which was a bubonic plague, involving Yersinia pestis, which struck the Roman port of Pelusium, in Egypt. This plague spread rapidly throughout the Empire wiping out one-third to one-half of the entire population of the Eastern Roman Empire. There are two comparable historic plagues that devastated the world population. One ended in oppression and the other gave birth to capitalism. It is like the battle between Public and Private. It depends on what side you reside when it hits. In a Public Wave, taxes rise to compensate for the decline in population, whereas in the latter we find the birth of taxation applied to individuals who suddenly are free to earn money. One of the worst such events coincided with the Justinian Plague (541-542AD) and was a pandemic. This hit the population on a monumental scale, creating a wave of devastation comparable to the Black Death that came about 600+ years later (2 x 309.6), which created capitalism by killing about 50% of the people and ended serfdom by reintroducing wages during the 14th century. It is estimated that about 25 million were impacted on its first wave but recurrences struck, bringing the total death toll to perhaps 50 million. The primary source describing this as a worldwide event in history has come to us from the noted contemporary historian during the 6th century, Procopius of Caesarea (Procopius Caesarensis; c. 500-560 AD). The Justinian Plague (541–542 AD) resulted in 5,000 deaths per day in Constantinople, but the Emperor responded with massive taxation as the pestilence swept through the known world; notably the Roman Empire. 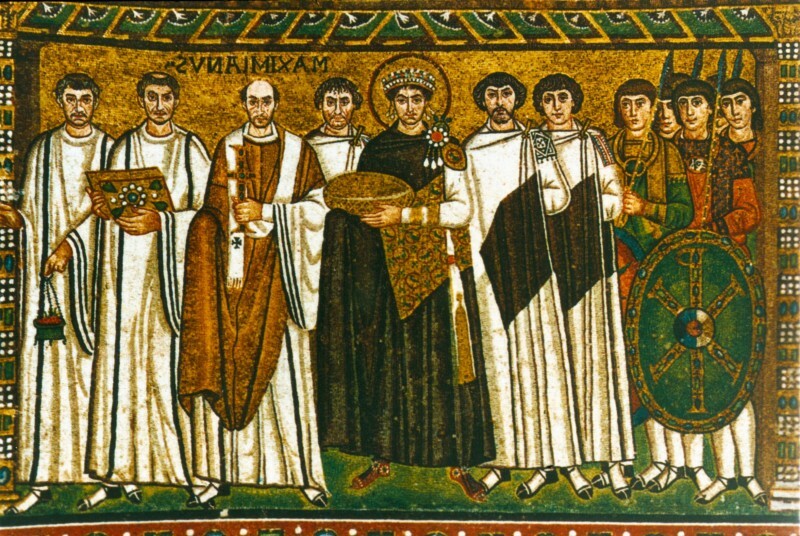 Justinian is remembered for his legal code reforms, but also for massive taxation for trying to restore the fallen glory of ancient Rome by waging a series of military campaigns to retake lands that had been overrun by barbarian tribes. The plague wiped out most of the farming community and impacted the tax revenue of the government. It was taxation that was different from the Black Death. Here taxation was applied to individuals, whereas latter taxes were minimal and applied only to landlords. Justinian showed no mercy whatsoever when it came to the collapse in his tax revenue. Despite the human desolation, Justinian hunted the ruined freeholders. He not only demanded they pay his annual tax even if they had no income, but he increased the tax on those living to compensate for the amount of taxation their deceased neighbors were liable to pay.